Late in the season, I ran the door for my older son's team for a game at a tournament. Not exactly a new task for me as I take on that role as an assistant coach for my middle son's team all the time. 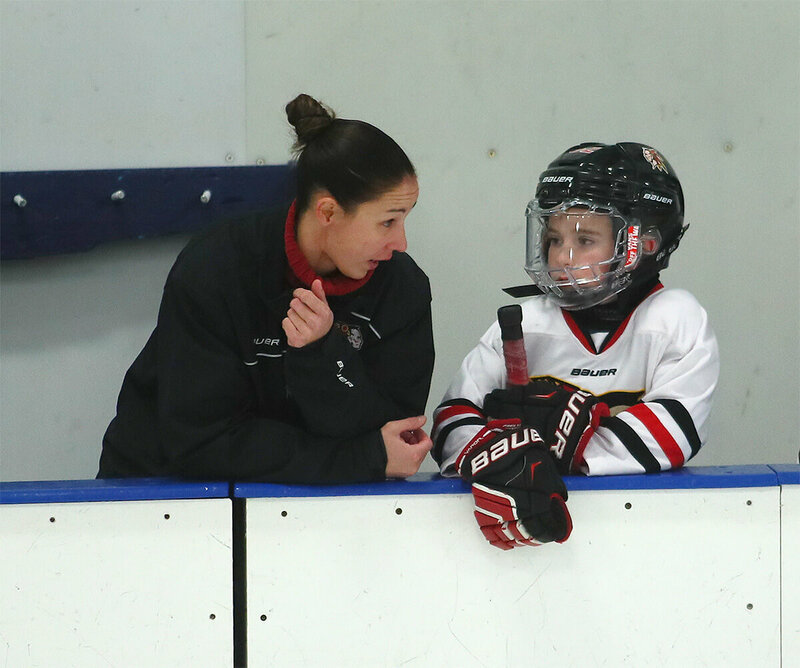 But this was my very first experience on the bench and in the locker room with my older son's coach -- which, technically speaking, has been his first season where parents are not permitted in the locker room. It's always enlightening to get a peek inside to a forbidden place -- even though I like to think I'm pretty in tune with the happenings of a youth hockey locker room. So, in this tournament, we lost 15-1 in one game, were shut out 5-0 in the next game, and for the game where I ran the door, we were shut out again 7-0. Parents would enter the room after a few minutes to quiet locker room and more than a few tear stained cheeks. It was a really uncomfortable atmosphere -- like they all just been punished or something. After suffering another deflating loss -- their fifth in a row, actually -- I expected to walk into a room of disappointed and upset kids. They didn't play poorly -- they never had a chance -- but often times kids take losses, repeatedly, like that really hard and the overall mood is, well, grim. 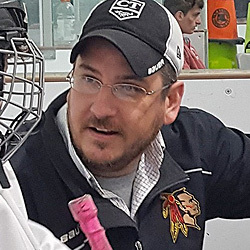 I pushed the door open to all of the kids sitting in their stalls, helmets and gloves off, talking, giggling, smiling, and ribbing each other for the penalties they tried to take but weren't called for. Or how Gordie stepped on the puck and wiped out. Or how only one of the other team's goals went bardown so that's the only one that "really" counted. The upbeat attitude -- following 5 consecutive lopsided defeats -- was so refreshing! And that's 100% on the head coach -- Gill Gallagher. That's her, with Duncan, up there in the picture. She absolutely refuses to let her players slump their shoulders or get down on themselves. Forbidden. And I know some might be reading this and thinking, eh, this is some fluff in-house team we're talking about where they hug each other on the bench for no reason at all like those silly articles they always throw into the USA Hockey magazine where learn-to-skate kids all get participation trophies handed out by some goofy looking minor league mascot as USA Hockey touts the monumental growth of the game which will undoubtedly lead to countless gold medals a decade or two from now. No, this is an elite hockey team. These kids are here to be hockey players -- not just play hockey. One game, earlier in the year, my son was on the ice for three goals against in one shift. For two of them, he was little more than a stationary pylon, completely unable to defend a 2-on-1. He went to the bench, shoulders slumped and with tears in his eyes for letting his team down. Like, confidence shot...punched out. Gill went right over, confronted the crying situation head-on, said something apparently funny or shocking (or both? ), shook him around by the shoulder pads until he was laughing, and sent him right back out there. Smiling coach, smiling kid. Seen it all before. "I don't give a crap about your kid..."
Okay, ignore the picture above. She's a tough coach. There isn't any nonsense during practices, warmups, or on the bench. All business. You screw around, you're off the ice. She's a police officer -- she knows how to do effectively handle pretty much any situation thrown her way. These kids know about real competition -- and compete at the highest level -- and, in prior seasons, have had coaches go off the rails following losses like this. I can tell you, without a doubt, that kids do NOT play better or harder or stronger when they've got tears in their eyes during the first intermission. They don't. Some games are just un-winnable. And that's okay -- keep going out there, doing what you do, and work, work, work, work! Getting all bent out of shape doesn't get you anywhere. 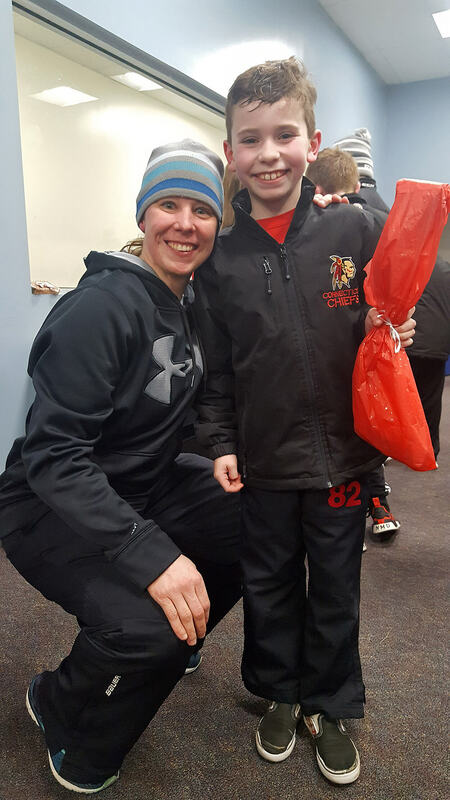 Her post-game speech began by lightheartedly calling out a few players for their funny highlights (like the aforementioned puck stomp or our only female player not taking a roughing call even though she certainly tried) which gave all the kids a good laugh. She followed it by pointing out a couple positional mistakes and a really poorly timed line-change but, all-in-all, they played a good game. Yeah, in a 7-0 loss, they played well. And, again, I know some are thinking we're some low level program...but we're not. We just have an amazing coach who knows how motivate children better than I've ever seen before. Crushing their spirits defeats the purpose. And it's not what any coach should do. The coach's role is to guide them, teach them. I can't speak for her but, in my view, winning the games were never her primary goal. 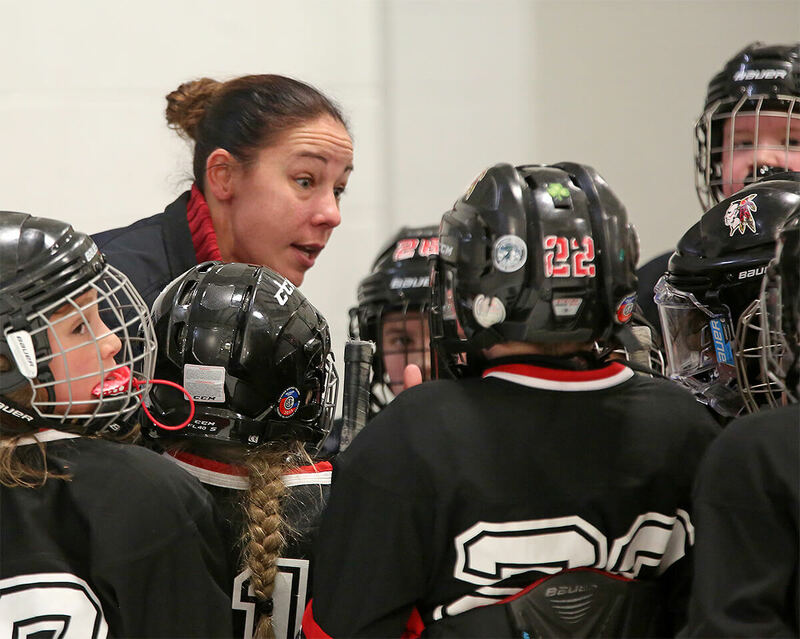 Her goal was to prepare the kids for the next level of hockey, make them all better...and her expectations are off the chart. She delivered -- proven by the fact that every single player on the roster showed up for PeeWee tryouts. Not one kid chose to leave. Not one family left dissatisfied with what, based on the league standings, was a subpar season. Nobody. She won't be either of my sons' coach next season but she certainly made Duncan a better and more confident player. He picked up things that will make him stand out for years to come. One great example is, when he skated in practices with a rival team that was recruiting him, he went into their locker room by himself and tied his own skates and then just sat there as all of the other players had their parents helping them get dressed. Bored, and with no one familiar to talk to, he then took all of the tape off of his sticks and re-taped them right there, by himself, while everyone else was still getting ready. It was one of those "one of these kids is not like the others" moments. He was a man among boys. And that's because Coach Gill set the bar there on day one...and the kids reached that level. Does tying your own skates, or taping a hockey stick, or wearing a tie and dress shoes to games make you a better player on the ice? One could argue no...but the people that argue things like that are often the same guys that claim clean cars run better. Full disclosure, my car has never been to the car wash. It runs just fine. Even still, having the ability and desire to do those things, for yourself, makes you a better person. More confidence, more pride, more independent. Kids with those three traits are immediately on the fast track to become better hockey players. And without the upbeat attitude -- put forth by the coach -- it's tough for those three traits that lead to success to even surface.